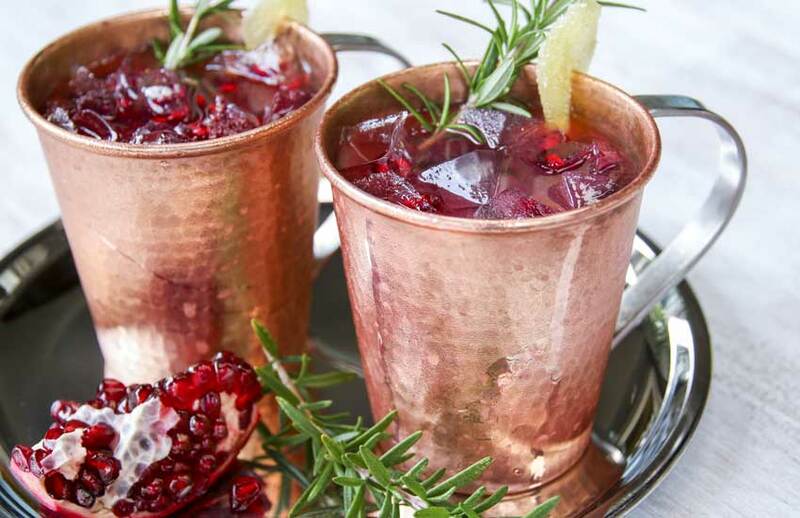 Something New For Dinner's Moscow Mule recipes have received many accolades and have been shared over the internet by The Huffington Post, Food 52 and many other websites. 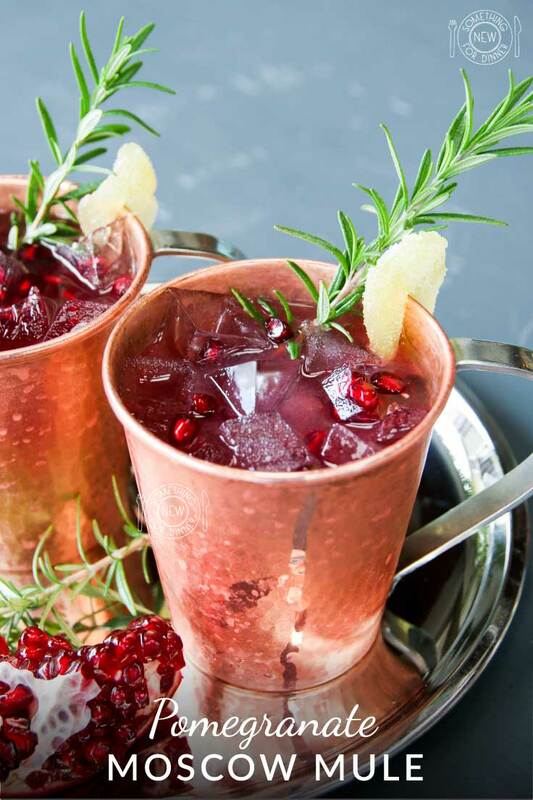 I really enjoy coming up with seasonal variations on the classic Moscow Mule. 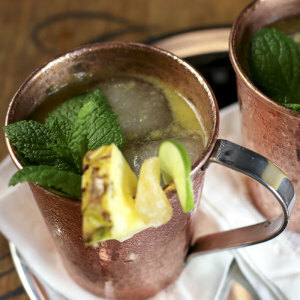 My favorites include The Garden Mule, The Orange Mule and The Pineapple Mule. 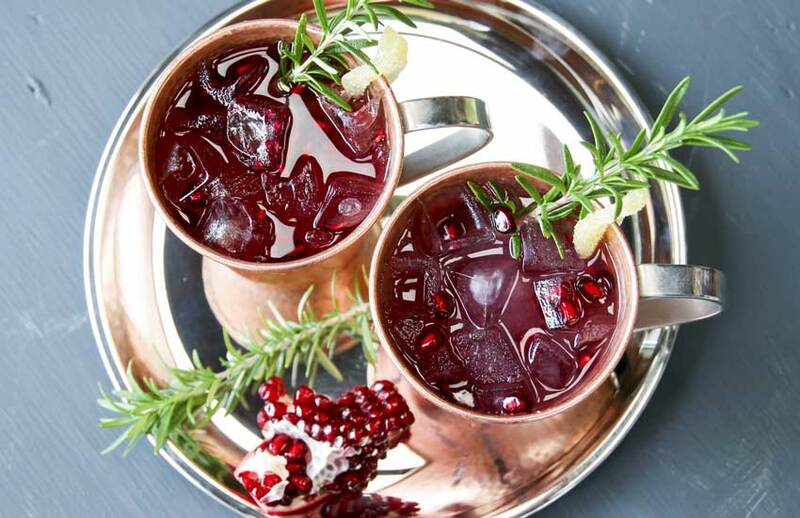 Pomegranates are one of my favorite Fall/Winter fruits, so it just seemed fitting that we develop a Pomegranate Mule. 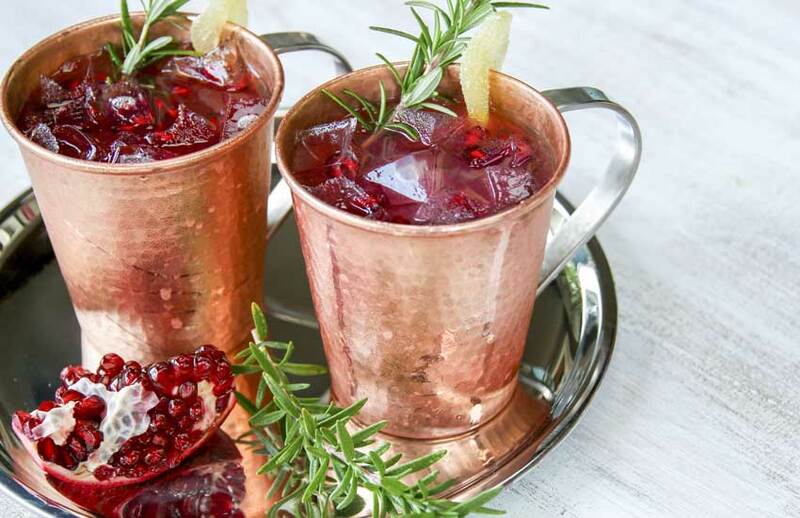 I flavor this mule with Pama, a pomegranate liqueur made with pomegranate juice, vodka and a touch of tequila. 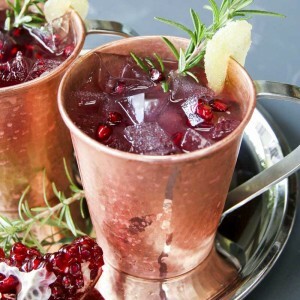 I add some fresh lime juice, some good ginger beer, season with some orange bitters and garnish with fresh pomegranate seeds for a beautiful winter cocktail. A word on ginger beer. Not all ginger beers are equal and the ginger beer you choose will make a big difference in the taste of your Moscow Mule. We prefer a ginger beer made with natural ingredients, not too sweet and with definitive ginger flavor. We recommend FeverTree or Maine Root Ginger Brew. 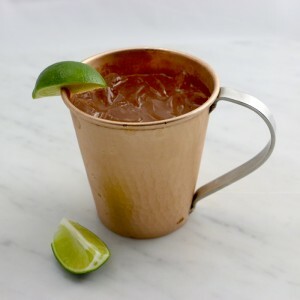 A proper Moscow Mule should be served in a copper Moscow Mule mug. 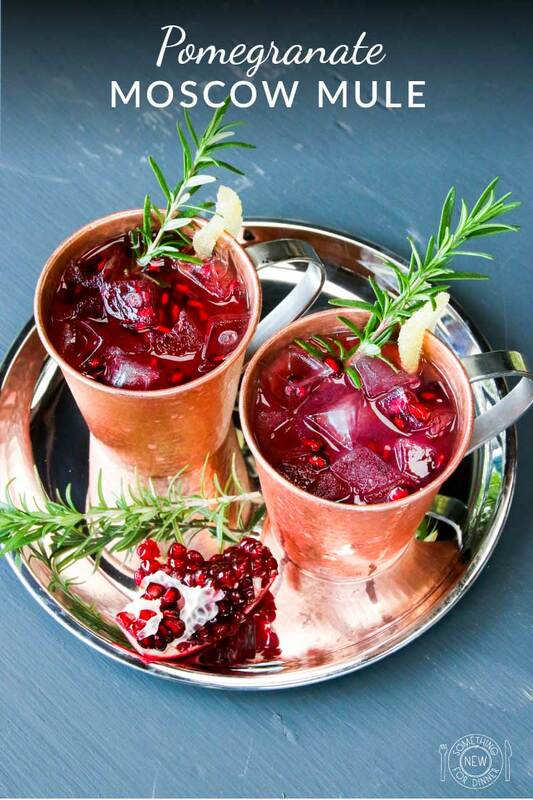 These festive mugs look gorgeous and keep your cocktail icy cold. 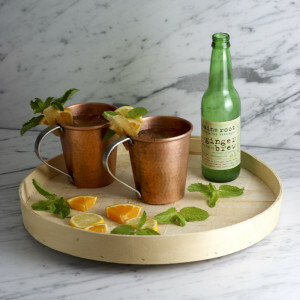 These are our favorite oversized Moscow mule mugs, made from thick gauge recycled copper with stainless steel handles. 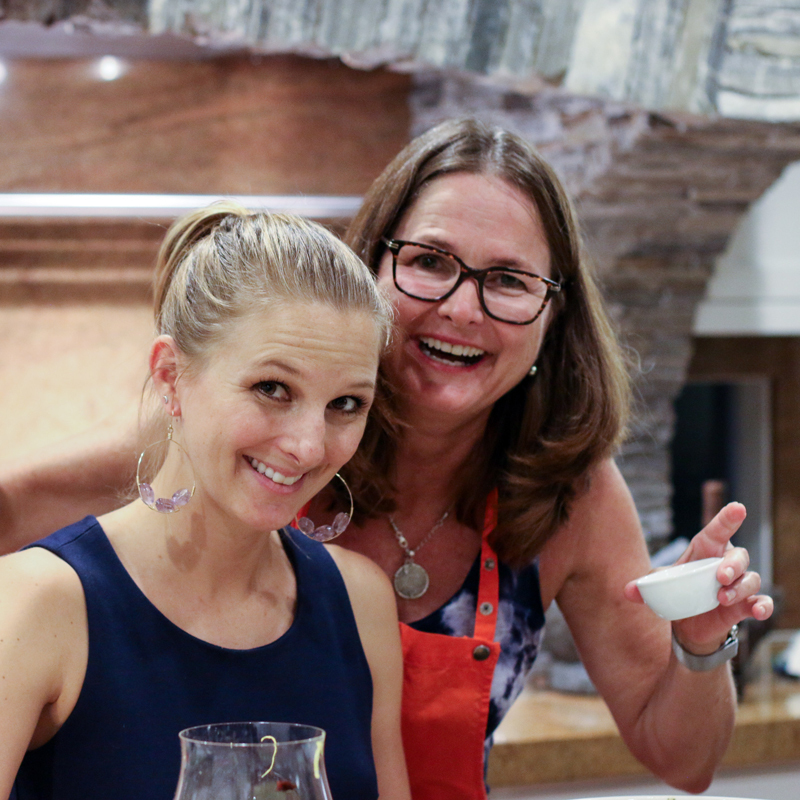 These mugs are also wonderful for serving beer and other cocktails. 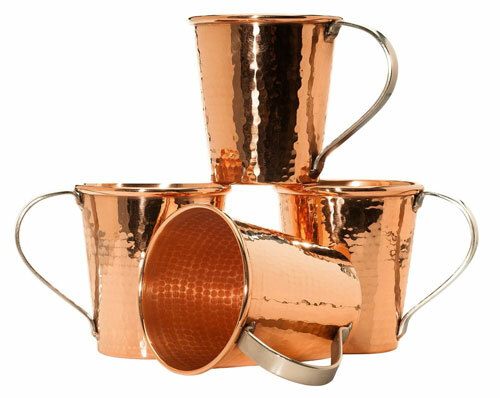 Here are our tips for keeping your copper mugs shiny and bright. 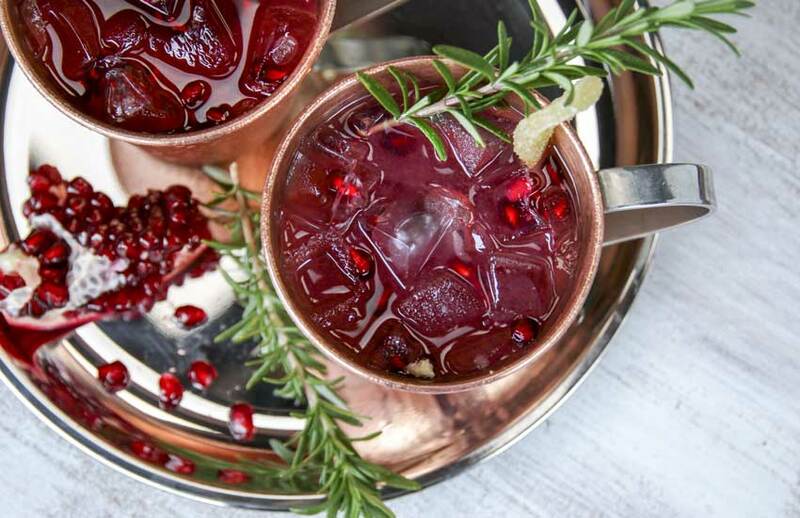 A festive Pomegranate Moscow Mule made with Pama Pomegranate Liqueur is just the thing for celebrating the winter holidays. 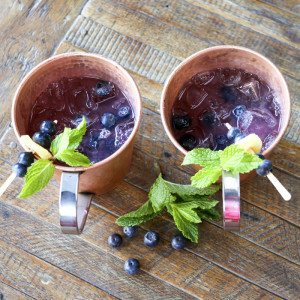 Fill Moscow mule mug or glass with ice. Add vodka, Pama, lime juice and ginger beer. season with a few drops of orange bitters. 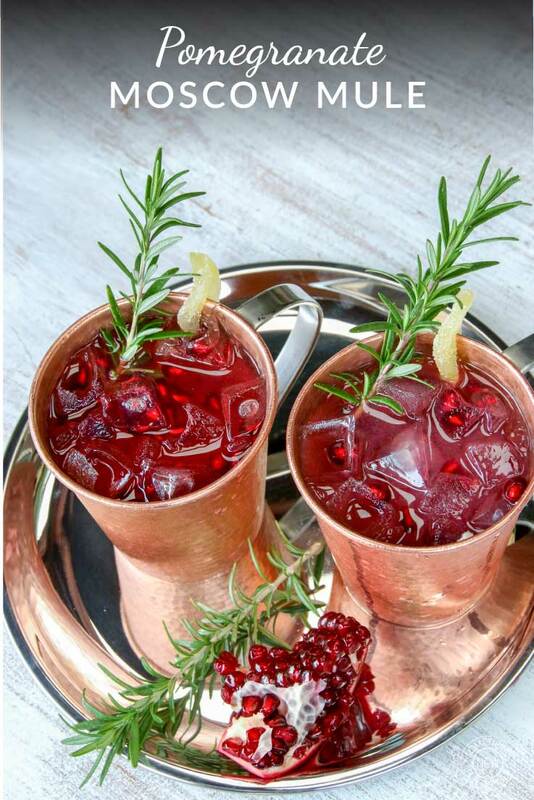 Stir gently and garnish with pomegranate seeds, candied, ginger and a fresh sprig of rosemary.